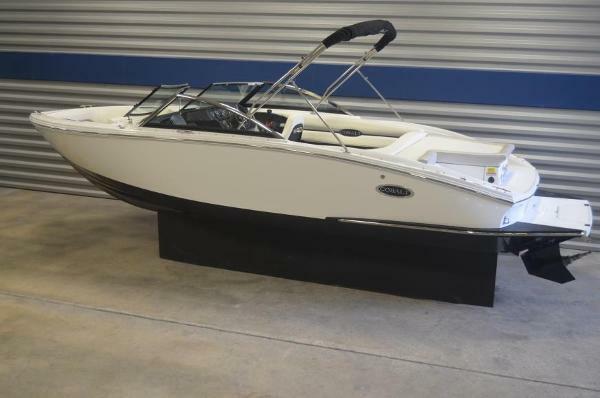 2012 Cobalt 220 This 2012 Cobalt 220 is the ultimate do it all sport boat. 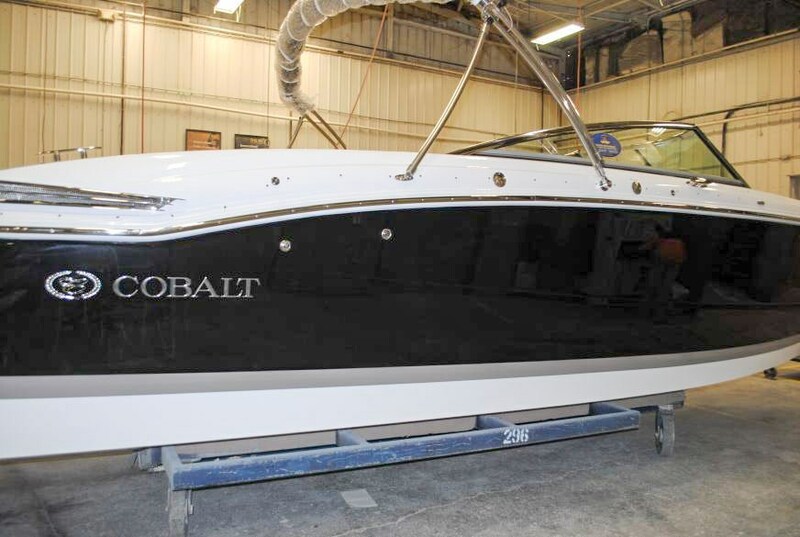 Cobalts unmatched luxury fit and finish and build quality are evident in this boat. 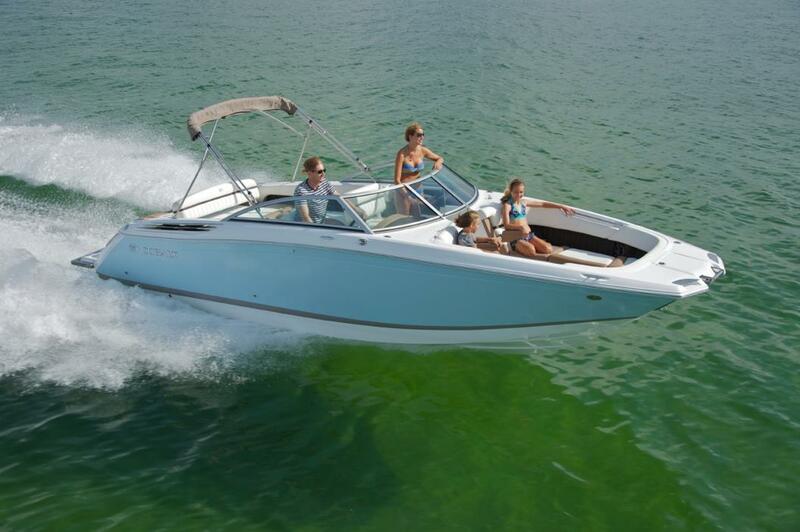 The 220 is an easily trailerable and managable boat meanwhile maintaining a larger than 22' feel on the inside. This boat isnt scared of rough conditions either. 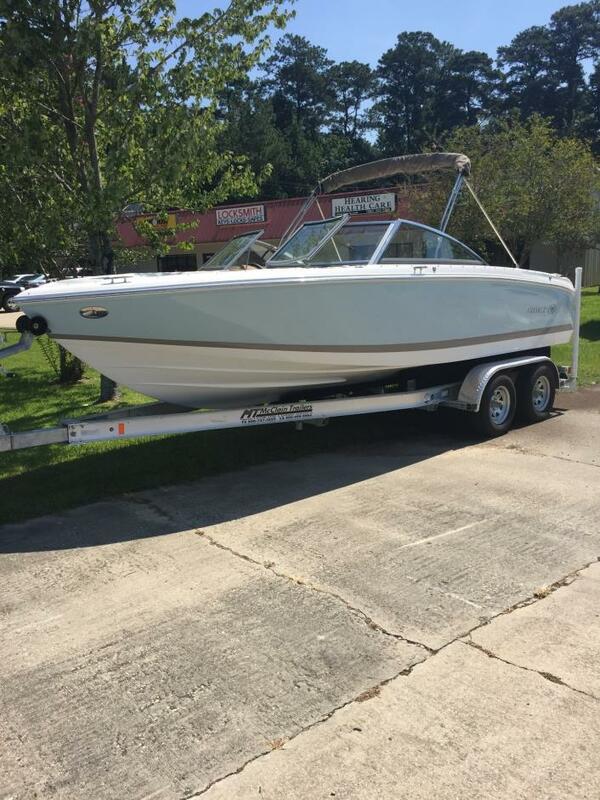 Powered by a Volvo V8 270 Tandem Axle aliminum trailer bimini top Garmin GPS Mooring cover Saddle interior Come see in person! 2016 Cobalt R30 Be careful, all eyes are on you. 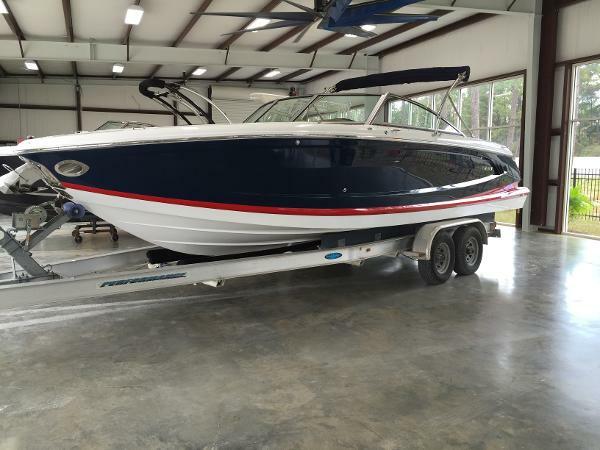 This boat will wow everyone, anyone who crosses her path. That’s because the R30 stems from our award-winning line of "R" model bowriders. This, the biggest of the bowriders, actually. But being “big” isn’t all she has to offer. 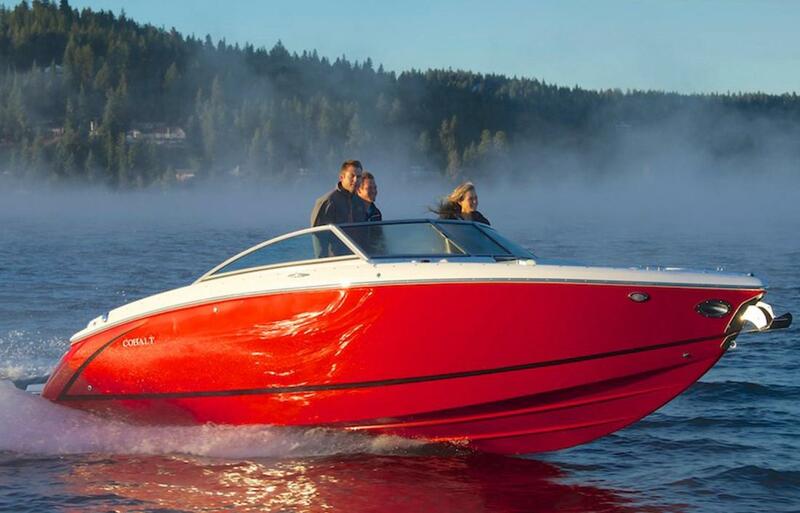 Feature-rich, the R30 was designed from bow to stern with you in mind. 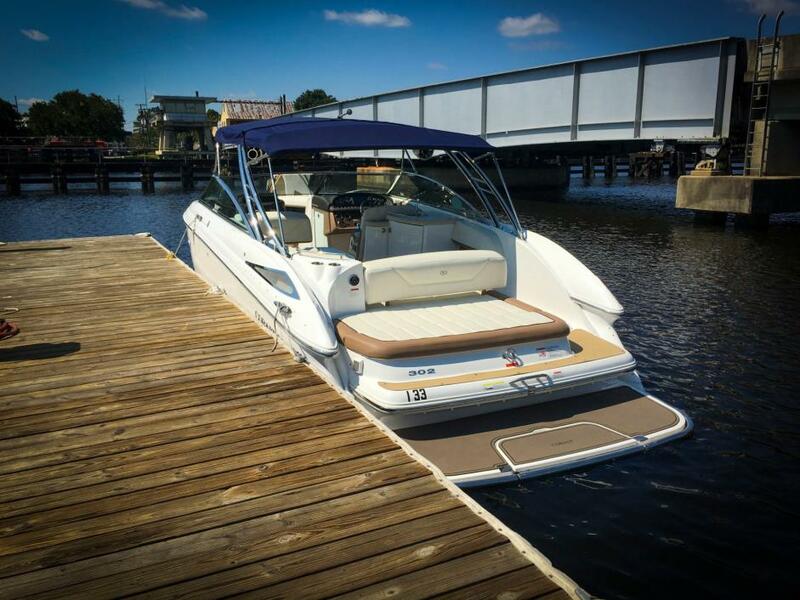 Features like the hydraulically actuated swim platform, allowing boaters easy access into the water. 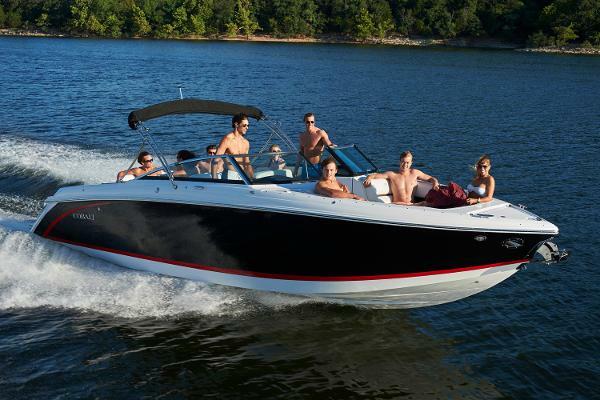 Features like the convertible layout that let the conversationalists mingle and the sun seekers soak up the rays. You want easy, functional gadgets? You got ‘em. Large Garmin touch-screens that keep you in check at all times? Yes, those too. Sometimes bigger isn’t always better. But in this case, it most certainly is. 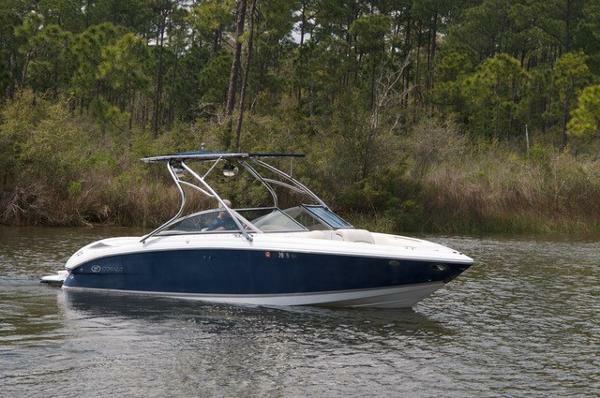 2014 Cobalt 302 w/ 8.2L's and Joystick 36 Hours : Joystick (Axius) Operation : Twin 8.2L MerCruisers : Windlass : Head :The superlatives tell part of the story -- the largest bowrider in the Cobalt line, for example, or the most spacious cockpit in its class – and the 302's features add their share to the argument: a sunpad large enough for side-by-side tanning, huge bow seats with new standards for forward comfort, carefully placed storage, power options ranging from aggressive to more aggressive still.But perfection is an inclusive term, and little things can mean a lot: molded stereo speakers set at precise angles for ideal acoustics, an armrest at the throttle, a dimmer for the backlit gauges, gas assists on the ski locker, double latches at the anchor door, water-resistant rubber fillings for the canvas snaps, the wiring loomed and supported everywhere. 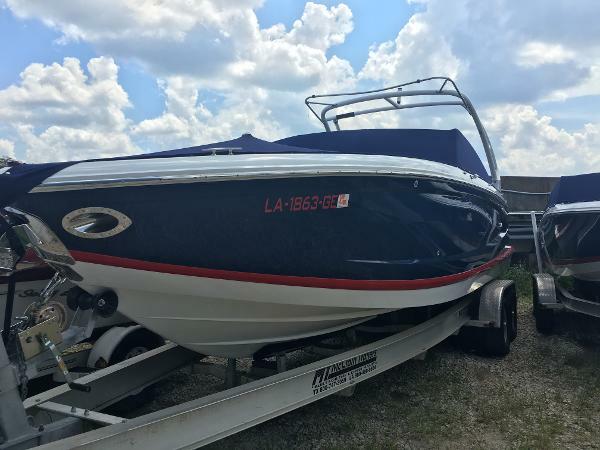 2014 Cobalt R5 Asked to create a mid-sized runabout with traditional elegance and the smoothest of quiet rides, we went to the prototype shop with an exterior profile first in mind. Sleek, low, and aggressive. Very, very aggressive, per the R5's Edge graphics, set forward of the sculpted truth that is the R5's transom, swim platform, and sunpad -- cohesive in their integrated design, free-flowing in their easy functionality. The transom is walk-thru, of course. The back-rest is convertible, and the space forward is wide and wider still, with an interior beam almost a foot wider than the ever so super-spacious 242's. 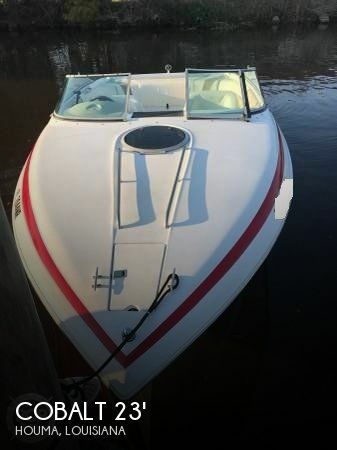 We then followed with yachtesque, wraparound seating to capitalize on those wishes for a flawless ride, a ride begun of course in that legendary Cobalt hull. This seating configuration, by the way, belongs only to Cobalt in boats of the R5's size. The twice wide passenger seat forward makes the cockpit even more flexible in its service of a good time -- fully convertible in direct reflection of seating aft. A console door, elegant in its woodgrains and crafted vinyls, opens to a head larger above and all-around than any other boat in the class.The helm gleams in hand-craftsmanship, in oil-rubbed ebony Makassar trim and duotone aluminum dash panels and switches of stainless steel and five-inch digital gauges with multi-function readouts and, over all, a form-fitted eyebrow in everlasting vinyl. The wheel wraps in leather: one of the most time-honored of Cobalt traditions, this masterpiece of a steering wheel. Our owners have always insisted on comfort and convenience and accessibility -- "ergonomics" to our designers -- and so the R5's armrests and footrests and controls and cupholders and every last little amenity aboard arrives with a form and a function just too ergo for words. And one more name to drop: the Rockford Fosgate stereo, optimized and ready, as we say, to crank. 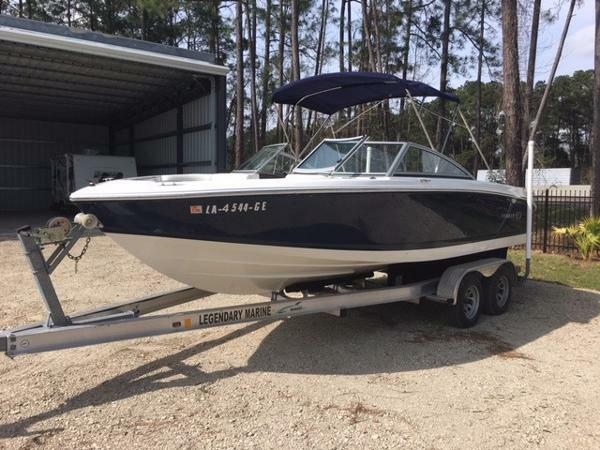 2007 Cobalt 323 In the 323's cabin with its huge U-shaped lounge, the seating and sleeping are accommodating and comfortable, the head and shower inviting, the galley welcoming and accessible. In the cockpit, a flip-out table hides in the portside sidewall, ready to swing with just a touch out and up for a quick bite to eat. At the entrance to the cabin opposite the centerline door, a handy stainless ladder slides in-and-out for quick access to the bow. The cockpit galley finds room for a fridge in addition to the stove and sink. At the helm, seating is flexible and comfortable, ready to add more room as the back rests flop forward for a friend to sit nearby. Sternward, the cockpit seating links with the sunpad for ideal use of space there. 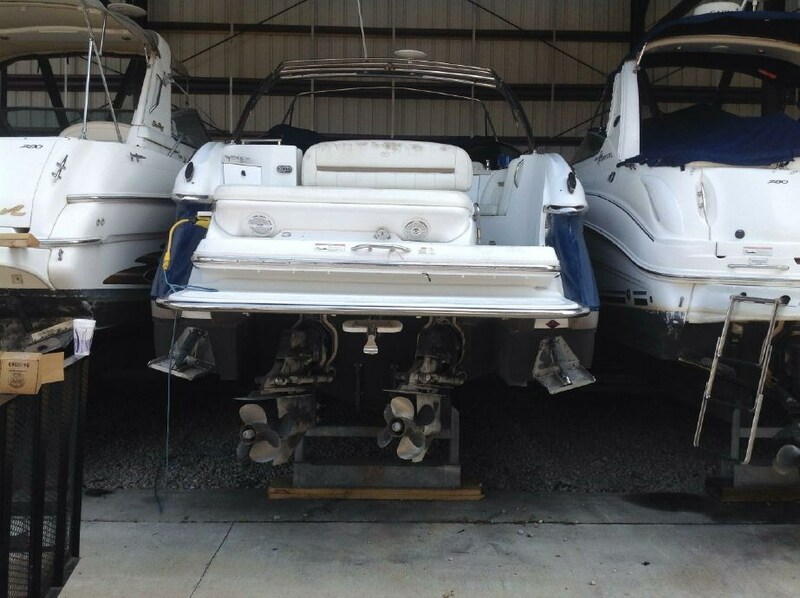 Powered by twin Mercruiser 350 Mag's with low hours! 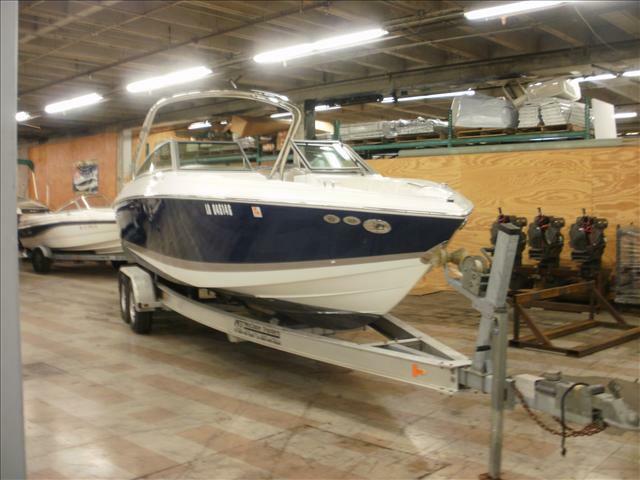 2014 Cobalt 302 36 Hours : Joystick (Axius) Operation : Twin 8.2L MerCruisers : Windlass : Head :The superlatives tell part of the story -- the largest bowrider in the Cobalt line, for example, or the most spacious cockpit in its class and the 302's features add their share to the argument: a sunpad large enough for side-by-side tanning, huge bow seats with new standards for forward comfort, carefully placed storage, power options ranging from aggressive to more aggressive still.But perfection is an inclusive term, and little things can mean a lot: molded stereo speakers set at precise angles for ideal acoustics, an armrest at the throttle, a dimmer for the backlit gauges, gas assists on the ski locker, double latches at the anchor door, water-resistant rubber fillings for the canvas snaps, the wiring loomed and supported everywhere.